The aim of this study was to determine the nutritional and quality characteristics of anchovy after cooking. The fish were cooked by different methods (frying, baking and grilling) at two different temperatures (160 °C, 180 °C). Crude ash, crude protein and crude fat contents of cooked fish increased due to rise in dry matter contents. While cooking methods affected mineral content of anchovy, cooking temperature did not affect. The highest values of monounsaturated fatty acids were found in baked samples. Polyunsaturated fatty acids in baked samples were also high and similar in fried samples. 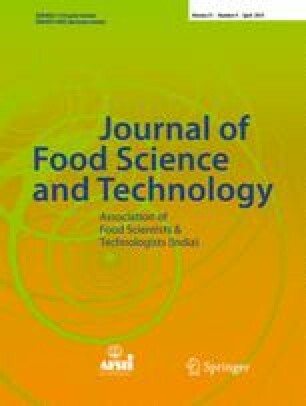 Fried samples, which were the most preferred, lost its nutritional characteristics more than baked and grilled samples. Grilled and baked fish samples can be recommended for healthy consumption. However, grilled fish samples had hard texture due to more moisture loss than other methods. Therefore, it is concluded that baking is the best cooking method for anchovy. The Scientific Research Projects Administration Unit of Akdeniz University under project no. 2005.02.0121.007 supported this research.